Last time the Warriors played the Titans, there was outrage at NRL Warrior HQ. Tackles were missed, voices were raised and two points slipped away. After the anger came a string of three wins in a row, but the pain of that loss still remains. Now it’s time for revenge. It’s only Round 15, but the men from Mt Smart have entered familiar territory — the must-win zone. Unbeaten in May seems like a long time ago now, and with a trip to the GC up next, things are about to get real. You could argue that the Warriors are only one win away from 5th spot, but with a points differential in the negatives and on such a congested table, a loss this week and a Top 8 spot starts to look a long way away. But Roberts isn’t the only thing to watch for on the GC. There’s speed everywhere, with greyhounds David Mead and Kevin Gordon also capable of going from 0–100 in a matter of seconds, and the Titans seem determined to play attacking footy for the remainder of 2015. Maybe an attempt to show expert gymnast Daly Cherry-Evans he made the wrong decision? And in what is becoming a recurring theme, three former Warriors — Matt Robinson, Mark Ioane and Agnatius Paasi — sit on the Titans’ bench no doubt keen to impress. By now, the Warriors should be very wary of old friends — Sio Suia Taukeiaho anyone?! The men from Mt Smart have said all the right things this week — encouraging signs and ambitions for the rest of the season — but surely behind the scenes they’ve got to realise it’s time to get down to business. The Origin period has traditionally been a successful time of the year for the Penrose-based club, but this year, this young side is suffering much more than normal, with the loss of experienced players such as Jacob Lillyman and Ryan Hoffman. 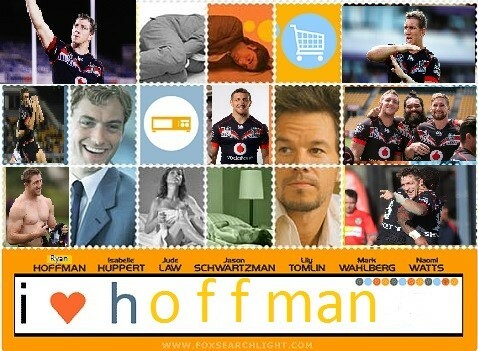 Hoffman’s involvement on Saturday is yet to be confirmed. Another head knock on Wednesday night at #MCGTooBig saw him temporarily wobbled, and the regularity of these concussions must be concerning the Warriors medical staff, if not Hoffman himself. It’s been fairly clear that the NRL Warrior team are huge fans of Ryan Hoffman. But safety has to come first and I’ll personally breathe a huge sigh of relief if his name is omitted from the side. Nathan Friend and Simon Mannering are other key, experienced players who’ve taken heavy knocks in the past couple of weeks, and Coach McFadden has responded by bringing Siliva Havili back onto the bench. I’ve been a little disappointed with Havili’s output in his games so far this season. A star in the lower grades for a long time now, Havili appeared to struggle with the speed of the NRL game, often not making it to dummy half even early in the match and seemingly reluctant to run the ball or engage the marker. He bounced back well for the NSW Cup side in Round 14, and hopefully he’s eager to make the most of this second chance. and when the going gets tough, as it is now for the NZ Warriors, you need to stick together to get the job done — and the GC seems like the perfect place for anyone in love with the coco. The return of Sam Tomkins. After being named in the side the last two weeks and not being in the lineup, it seems logical to assume, with his name nowhere to be seen, that he’ll play in this match. How the Warriors will reshuffle the side to accommodate Tomkins will be interesting, as Coach McFadden is unlikely to want both Lolohea and Havili on the bench. But desperate times call for desperate measures — if Tomkins is anywhere near fit, surely he’ll play. We go up on this Warriors rollercoaster, then we come crashing down. But the ride isn’t over yet, and we’re nearly at ground level, which means it must be time to rise again. Warriors to assert dominance in the forward pack, roll up the middle and leave the GC with the two points. Warriors by 10.